Equanimity on the way to Boustead Cruise Centre, Port Klang. The media waiting for the arrival of Equanimity. 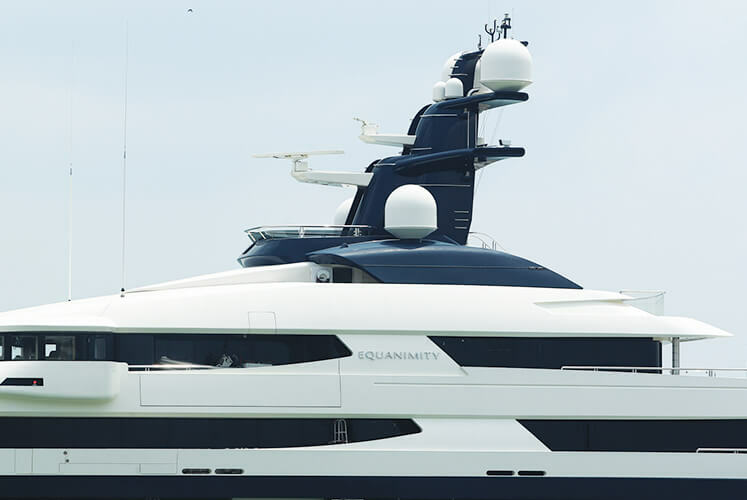 KUALA LUMPUR (Aug 7): Former Prime Minister Datuk Seri Najib Razak is more interested in the settlement amount owed to Abu Dhabi-based International Petroleum Investment Co (IPIC) instead of the sale of the controversial super yacht Equanimity. "Of course, I have no knowledge of it (the arrival of the yacht). I have not been onboard. I did not know about it until it came out in the press. "Why we didn't pursue it (get back the yacht) earlier, because we were interested in the full settlement with United Arab Emirates (UAE) on the IPIC. And that is worth much more than this Equanimity. That is the biggest sum, we wanted big settlement to be settled first, that's why we didn't pursue with the yacht. "But Equanimity is being used as, again, a populist move," he told reporters at the Parliament lobby, here, today. Commenting on the "populist move", Najib said overall it is important to settle on the IPIC issue as opposed to just open bidding for the Equanimity. "But it is important that I have no knowledge whatsoever as to the yacht and also the yacht itself is subject to litigation. It's not a clear-cut matter. "I noticed even Matthias Chang has come out with a statement in a blog questioning the move, the legality of it," he said, adding that the asset has depreciated and not many people in the world can buy a yacht like that. When asked about the IPIC amount, Najib said it is still in the negotiation stage. He also denied knowing whether the yacht was bought using 1Malaysia Development Bhd (1MDB) funds. 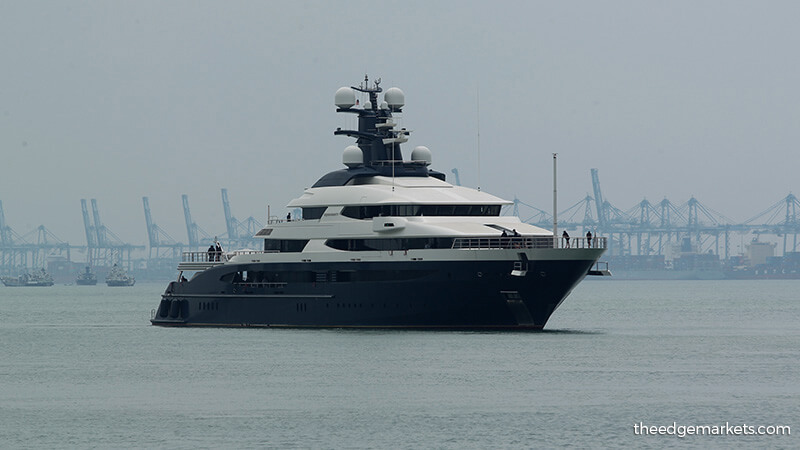 Earlier today, it was reported that the yacht, believed to be owned by businessman Low Taek Jho or Jho Low, was sailing past Westport in Klang. 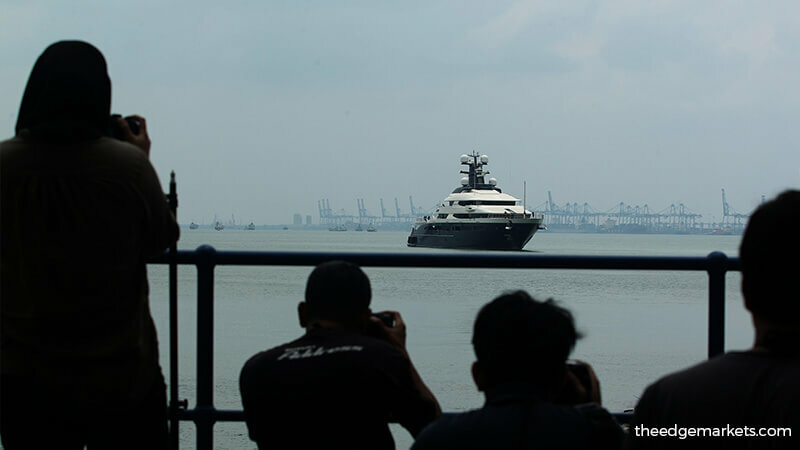 The yacht, estimated to be worth RM1 billion, has been alleged to be part of the assets purchased using funds from 1MDB. Jho Low is being sought to assist in the investigation into 1MDB. Yesterday, Prime Minister Tun Dr Mahathir Mohamad thanked Indonesian President Joko Widodo and his government for their assistance in handing over the yacht, which was seized by the republic's authorities, to Malaysia. The ship was seized in Bali in February at the request of the US Department of Justice. However, in April, an Indonesian court ruled that the seizure was illegal, and the yacht should be returned to its owner. The Indonesian authorities then seized it again in July following a formal request for legal assistance from the US.